Our signs are tasteful, yet get the message across. 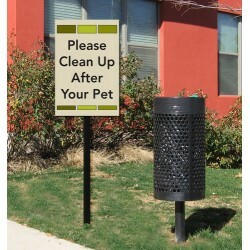 All signs are durable, rust free aluminum composite. 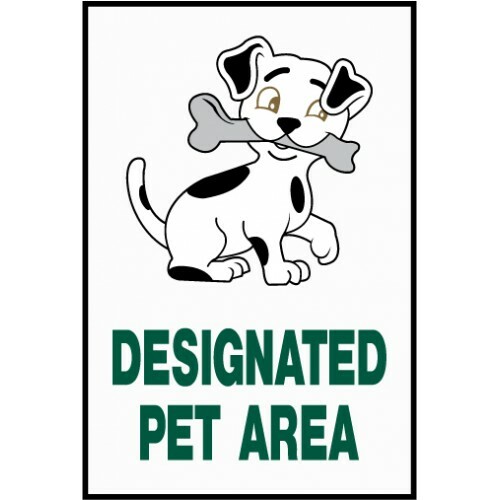 Each sign is 12" x 18" with digital print. Use with an angle iron stake. 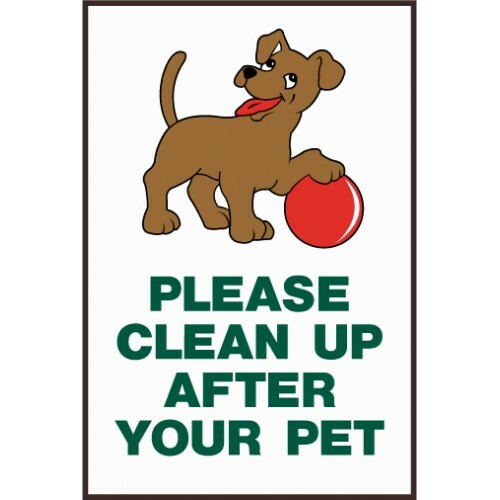 Designated Pet Area sign tell residents where their pup can poop. 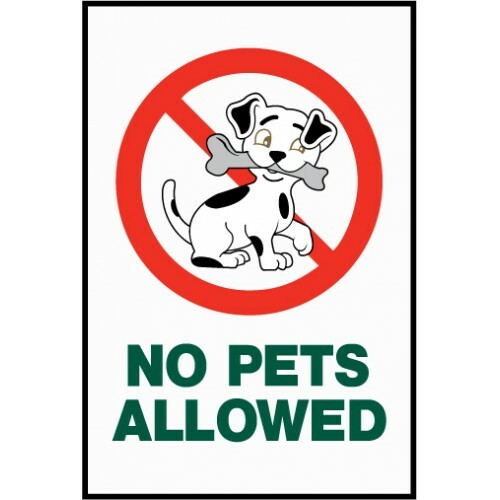 The sign is 12" x 18" and di..
No pets allowed sign with universal red stripe. The adorable dog has a bone in its mouth. The .. 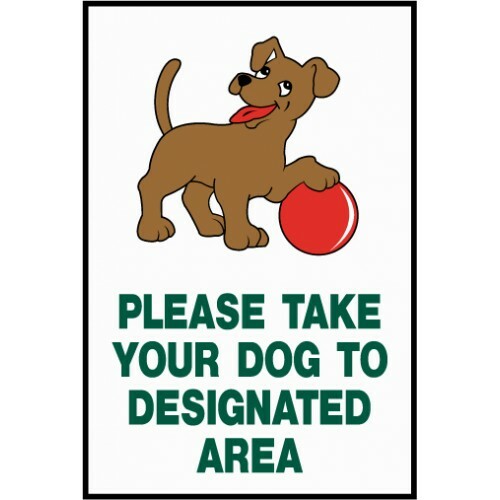 Please take your dog to designated area sign. Dog with ball graphic. The sign is 12" x 18" and made ..